This offer is only open to people taking out full “Club” or “Club Swim” membership. It does NOT apply to PAYG, Student, Junior or Climbing membership. This offer is open to all new members taking out full “Club” or “Club Swim” membership anytime throughout January or February 2019 only. You are not eligible for this offer if your membership is currently frozen or suspended or you have been a member of the Club (any category) in the last twelve months. 50% discount will be applied to the introducing member’s membership subscription for one month at the end of the 3 month period immediately following the introduced friend’s enrolment to the Club, providing the introduced friend has continuously maintained their membership of the Club, and paid all relevant subscriptions, for that 3 month period. This offer does not apply to School or Club employees. Where the introduced friend cancels their membership within the initial three month period, no discount will be applied to the introducing member’s subscription. The 25% discount will be applied to the subscription for the joining member for each month of the first three months of membership immediately following enrolment with the Club. This offer in non-transferrable and no cash equivalent will be offered. This offer cannot be used in conjunction with any other offer that may be available at the time. We are all passionate about health and fitness and are dedicated to making the Club the best it can be for our members. There are a range of membership packages available for families, individuals and students. Whether you are keen to swim, climb or take part in group exercise classes, we have something to suit your lifestyle. The Club provides a friendly environment in which local people can enjoy group activities, relax with like-minded people, and take part in social events. Over the years our membership has grown and today we have a great community – something you can be a part of. If you are interested in joining, please download an application form or contact us to arrange a tour of our facilities and to discuss which membership package will work best for you. Our fully inclusive membership which entitles the member to use the all the facilities of the Club, including the gym, pool (according to the timetable) plus attend all group exercise classes. In addition, our Club members can enjoy the use of the outside tennis courts and running track. The monthly subscription for Club membership is £48.95 per month. Joint membership is £46.25 per person per month. This membership will appeal to members who want to concentrate on swimming for their main source of exercise. It allows the member to use the pool during available times (according to the timetable). Aqua aerobic classes are included with this membership type, free of charge. Any use of the gym or other group exercise classes would be charged at a discounted members rate. The monthly subscription for Club Swim membership is £35.90 per month or £33.00 per month for a joint membership. 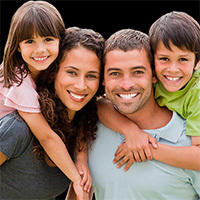 If 2 members from your family join then they will be eligible for a joint membership discount. With joint discount applied your membership would be reduced to £46.25 per person per month. A Club Swim membership would be reduced to £33.00 per person per month. Junior memberships also receive a discount when two adults from the same family are members. So a Junior membership would be £6.50 per month per child if 2 adults are members. A junior membership otherwise is £12.90. A Student membership is ideal for young people from the age of 16, who are still in full-time education. It entitles the member to use all the facilities of the Club, including the gym, pool (according to the timetable) plus attend all group exercise classes. In addition, our Club Student members can enjoy the use of the outside tennis courts and running track. The monthly subscription for Club membership is £25.95 per month. Enjoy access to a range of exciting fitness classes from just £7.50 , Gym sessions £10.00 (subject to an induction) Swimming is £6.00 for an adult and £3.00 for a child! We are pleased to launch PAYG – a new pay as you go scheme at Charterhouse Club. We appreciate that a monthly membership package isn’t right for everyone, so we have created PAYG for those of you who require a little more flexibility. PAYG allows you to book and pay for a class online, 24 hours in advance. Register for PAYG and start enjoying high energy classes including Studio Cycling, Cardio Dance, Zumba, Aerobic Dance, Body Pump and more. We also offer low-intensity group activities such as Balance and Pilates. Our pool and well equipped gym is also available for Pay As You Go members. Thursday mornings are full of vitality here at Charterhouse Club as seniors meet up to take part in Cedars Active, our very own group exercise programme. From Zumba Gold through to short-mat bowls, there are plenty of low impact activities to enjoy. The popular session is led by professional Aerobics Instructor, Elizabeth Silver, who is an advocate of group exercise. Always on hand to provide advice, Elizabeth and her team encourage members to try out new activities together and to motivate each other along the way. Sessions include activities in the club’s spacious sports hall, group outings and various outdoor pursuits. Free for Club members and just £6.70 for non-members. Become a part of Cedars Active and enjoy a tea or coffee at the end of your session. Sessions begin on Thursday’s at 10am and finish around 1pm.